Gorzow sensation Bartosz Zmarzlik admits he is in “dreamland” after becoming the youngest ever FIM Speedway Grand Prix winner with victory in tonight’s Gorzow SGP of Poland. The talented 19-year-old produced the performance of his life to top the rostrum along with Stal Gorzow team mates Matej Zagar and Krzysztof Kasprzak, who were second and third respectively. Danish racer Michael Jepsen Jensen was fourth. Zmarzlik’s victory at the age of 19 years and 140 days saw him overhaul Russian racer Emil Sayfutdinov as the youngest ever SGP winner. 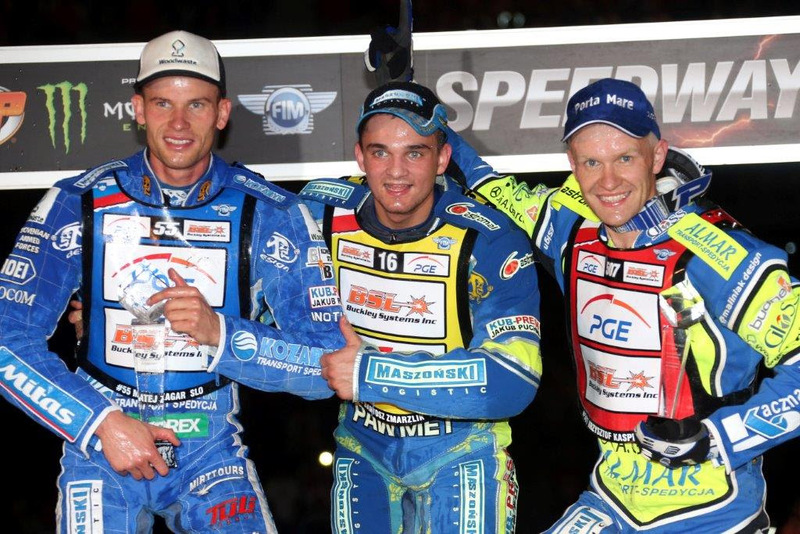 The former world No.3 won the 2009 Czech SGP in Prague aged 19 years and 181 days. Having won on only his third SGP appearance, Zmarzlik was elated to send his hometown fans at the Edward Jancarz Stadium into a frenzy with a famous victory. 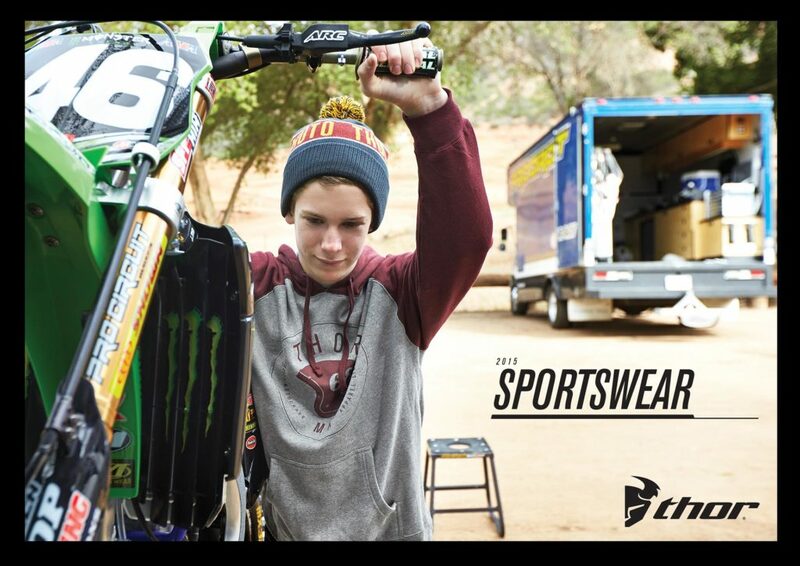 The talented teenager, who was third in the 2012 Gorzow SGP on his World Championship debut, said: “I’m very happy. This is fantastic. I can’t believe this. Zmarzlik may have been riding in the event for the third time, but he admits the increasing weight of expectation on his shoulders makes him more and more tense every year. He said: “I was a little bit nervous before the meeting. But when I won the first heat, I felt a little better. “Today I was the most nervous because when I first rode in the Gorzow SGP in 2012, I knew I could do well but I knew I could also score zero points. I was very young. Zmarzlik’s golden night is already making him dream of full-time qualification for the SGP series. Polish ace Kasprzak advanced up to fourth place in the World Championship and is just one point behind Nicki Pedersen in third after racking up 16 points tonight – a figure bettered only by Zmarzlik’s 17. Despite storming through his first six rides with three wins and three second places, he admits it was a tough night on home shale. He said: “I had a problem with the setup all evening. Even when I won the races, it was very hard for me. I normally win the races here more easily in the league. I used the same engine, but I don’t know. Maybe I was racing different riders and the GP is stronger. World Championship leader Greg Hancock and world No.3 Niels-Kristian Iversen were forced out of the Gorzow SGP following a horrifying on the back straight in heat 14. NKI lifted as he exited bend two and the pair tangled. Hancock suffered one broken finger on his left hand with another dislocated. Iversen confirmed via his personal Twitter account that he has suffered a suspected ligament injury and is awaiting an MRI scan to confirm the full extent of the damage. Prior to his crash, Hancock had piled up nine points from a possible nine and now leads the standings by 14 after nearest rival, defending champion Tai Woffinden of Great Britain, was forced to withdraw on Friday due to a broken hand. Iversen drops two places to sixth. WORLD CHAMPIONSHIP STANDINGS: 1 Greg Hancock 112, 2 Tai Woffinden 98, 3 Nicki Pedersen 93, 4 Krzysztof Kasprzak 92, 5 Matej Zagar 91, 6 Niels-Kristian Iversen 87, 7 Darcy Ward 75, 8 Chris Holder 70, 9 Fredrik Lindgren 69, 10 Troy Batchelor 66, 11 Martin Smolinski 64, 12 Jaroslaw Hampel 63, 13 Kenneth Bjerre 60, 14 Andreas Jonsson 59, 15 Chris Harris 35, 16 Michael Jepsen Jensen 31, 17 Bartosz Zmarzlik 17, 18 Peter Kildemand 15, 19 Kasts Puodzuks 10, 20 Peter Ljung 7, 21 Adrian Miedzinski 5, 22 Joonas Kylmakorpi 5, 23 Kauko Nieminen 4, 24 Andzejs Lebedevs 3, 25 Jason Bunyan 2, 26 Vaclav Milik 2, 27 Craig Cook 2, 28 Adrian Cyfer 2, 29 Lukasz Kaczmarek 2. GORZOW SGP SCORES: 1 Bartosz Zmarzlik 17, 2 Matej Zagar 16, 3 Krzysztof Kasprzak 16, 4 Michael Jepsen Jensen 14, 5 Kenneth Bjerre 10, 6 Greg Hancock 9, 7 Chris Holder 9, 8 Troy Batchelor 9, 9 Nicki Pedersen 7, 10 Niels-Kristian Iversen 6, 11 Chris Harris 6, 12 Fredrik Lindgren 6, 13 Martin Smolinski 5, 14 Andreas Jonsson 4, 15 Adrian Cyfer 2, 16 Lukasz Kaczmarek 2, 17 Jaroslaw Hampel 0, 18 Tai Woffinden DNR.